Case Design Corporation (CDC) has been making cases for over 80 years and has a proven track record of providing high quality carrying solutions for people and products on the move. When your presentation or technical equipment is properly protected from the abuses of traveling and shipping it allows you to work more effectively and with greater confidence. 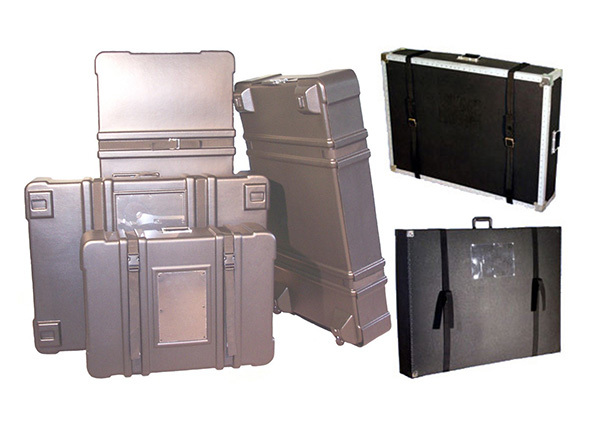 Ameripack is an authorized distributor of CDC cases and carries both stock and custom items. 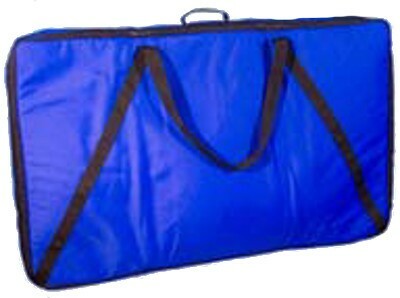 Ameripack also has the expertise to customize any of these cases to meet your requirements. 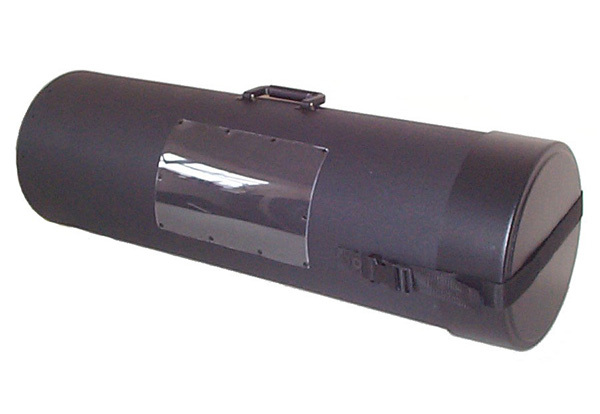 The rotationally molded Tank Tube cases are one of the most durable molded cases you can find. The supportive ribbing that runs around these cases makes them unbreakable and an ideal shipping solution for graphics or any long, delicate item that you need to protect. These cases come standard in 8”, 12”, or 15” diameters and are stocked in several lengths of each. If you don’t find the stock length that you need, just ask us and Ameripack can have these cases custom manufactured to the length that you require. These cases are available in black and have optional wheels and foam interiors for you to choose from. The CDC Rotunda cases are extremely light weight and rugged. 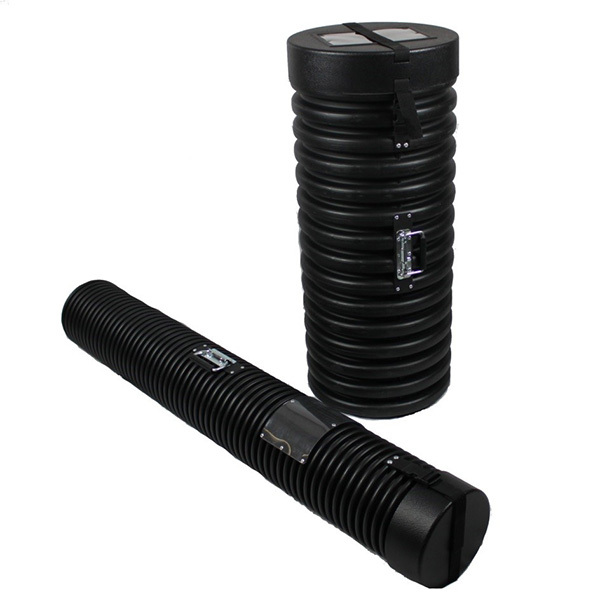 These tubes are formed from polyethylene plastic and have a thermoformed lid and base on them. These cases are available in 12” and 15” diameters with a number of lengths in stock. If you do not find the length you require, no problem – we can custom cut these cases to size for you! Foam lining and optional wheels are always available, and we can also make these cases in a custom color or with your company’s logo with a quantity order. Ameripack carries 3 types of display panel cases manufactured by CDC. The Omni display cases come in two styles – a 0.10” plastic polyethylene shell with steel corners and clamps, or a 0.15” plastic polyethylene shell with steel angle running along all edges of the case. You decide on the size and durability that you require! CDC also manufactures our Expo II line of thermoformed Display Panel Cases. These cases come in 6 different sizes and have a telescoping lid to allow for more flexible depths that you may require. The CDC Omni Soft Sided Display Panel Case is the perfect case for carrying all of your display materials to and from trade shows and customer meetings. This low weight case is the ideal solution for graphics that need to be transported safely between multiple uses. These cases feature a Heavy Duty zipper on 3 sides, foam padding on the front and rear and internal pockets with Velcro straps. CDC’s Heavy Duty Molded shipping cases are molded from lightweight polyethylene, yet are strong enough to meet ATA specs for shipping. 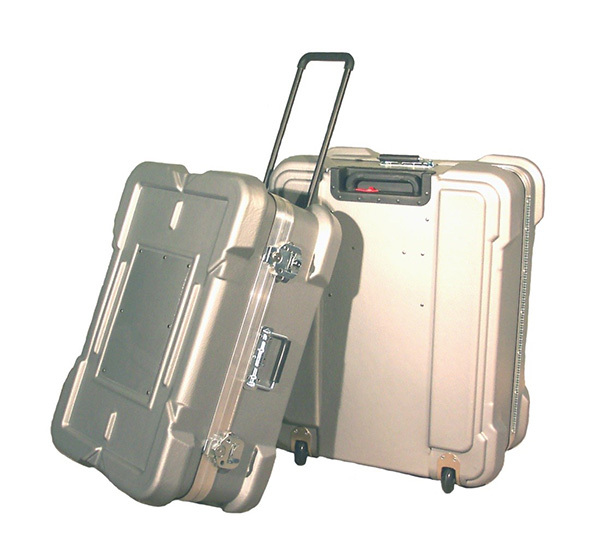 These cases have corners that protruded from the face of the case to protect the case hardware from damage and molded ribs to allow for positive stacking of the cases. Corrosion resistant hardware and valance and built in edge casters with a telescoping handle complete the case design, and Ameripack can design any type of interior that you need to get a custom fit for your part.